In this article we look at what are commercial landlord responsibilities and what you need to know before investing in commercial property. What are the differences between commercial property and residential property? Investing in commercial property is an effective means of diversifying your investment portfolio, bypassing the high upfront costs, short leases and uncertainty associated with investing in residential property. What should be considered before investing? The economy has been forecast to grow by at least 1.5% both this year and in 2019 and the nervousness regarding UK investments since the Brexit vote has created a number of commercial investment opportunities for the entrepreneurial. One of the main objectives of the upcoming Crossrail network is to provide improved travel connections between London’s business and commercial districts. The value of commercial property around London’s Crossrail stations is expected to soar as a result of an extra 1.5 million people who will be within commuting distance of the capital, making property in these areas a viable investment. Although the rising house prices in the commuter belt provide the most obvious benefits to residential investors, those looking to invest in commercial or semi-commercial property will also find many opportunities to profit. The launch of Crossrail has also created commercial property investment opportunities across the commuter belt, with towns such as Brentwood and Slough seeing steadily rising house prices that predict an excellent return on investment. Stevenage is already well-connected with a direct line to King’s Cross and investment value reflects this with average house prices rising by nearly 60% over the past ten years – a trend which is expected to be reflected in commercial property prices. The extension of the Great Northern railway line, which will connect it to the Crossrail network at Farringdon, only serves to increase the town’s desirability to investors. The retail sector also presents a variety of appealing investment choices for investors of all sizes and budgets. The movement towards online retail has, surprisingly, served to invigorate two very different kinds of commercial property opportunity. It is only logical that it has raised the demand for retail warehouse space in order to facilitate online shopping and the value of this type of investment sees no sign of decreasing. Despite a spate of recent high street store closure announcements by brands as large as Marks & Spencer, Next and New Look, the ownership and shares of flagship stores have increased in value. It has been speculated that this is due to an increased need for a physical store in which to showcase a brand’s values against a backdrop of internet shopping. Purchasing a flagship on Oxford Street or Tottenham Court Road may be beyond the financial capability of most investors, however shares in such destinations are rising in value. It is inadvisable to invest in a commercial property that requires extensive repairs as your first purchase. Minor cosmetic updates are fine and should not be excessively costly, but if you intend to buy a run-down commercial property at a low market value, fully renovate it and sell it for a profit you will be competing with experienced property developers. Even if you intend to retain the property in your portfolio after renovating it, the building costs of the project will likely be too high to represent a good overall investment. Purchasing commercial property that is located in an area with which you are not familiar may also prove to be problematic. Remote property management represents a risk because your lack of expertise in the area in which your property is situated can be very costly. Purchasing commercial property in another country – especially by direct investment – is an even more risky strategy, so as an investor it’s advisable to consider areas which are familiar to you. What are the Commercial Property Landlord Responsibilities? Once you have invested in a commercial property, you are responsible for upholding vital health and safety standards to ensure the safety of your tenants and their customers. As a commercial property landlord, you are also responsible for adhering to industry regulations regarding fire, asbestos and energy performance. Fire alarm regulations for commercial buildings stipulate that all premises must have a fire detection system which must be tested weekly and serviced twice annually. The alarm should be audible to everyone in the building and there must be a call point on every floor. If the commercial property is high-risk – such as a restaurant – an automatic fire alert system should be used. Lower-risk properties must have manual systems installed by law. If you are unsure of the about any aspect of commercial fire regulations, it may be advisable to consult a landlord fire risk assessment template. Unless the contract or lease specifically states otherwise, as a landlord of a commercial property you are ultimately responsible for ensuring that any asbestos on the property presents no risk to those living or working in or around it. In extreme cases of failing to deal with asbestos correctly, landlords can face unlimited fines, up to two years in prison, or both. What does an asbestos survey involve? If you are the owner of a commercial property that may stand empty for a long period of time such as a warehouse, the property needs to be surveyed for asbestos regardless of whether it is in use or it is vacant. The cost of removing asbestos from a commercial property varies depending on the substance containing the asbestos and the degree of treatment necessary. However, removal is an wise investment as the presence of asbestos (even encapsulated) may decrease the value of a property. If you are already aware of a potential source of asbestos within a commercial property, a basic analysis of the material will cost around £50. A full survey to find any potential sources of asbestos within the premises will usually cost at least £200, possibly more if the building is very large or there are factors such as space restrictions to consider. Generally speaking, the removal of asbestos materials cost around £50 per square metre if the substance is concrete, coating or tiles. Asbestos removal companies often charge flat fees for smaller, self-contained objects that can be removed in one go, such as water tanks. The cost of asbestos removal from a commercial property also depends on the area in which you live. Several councils offer asbestos removal services at greatly reduced rates, or even for free. Get in touch with your local council in order to find out what their policies are. Removing asbestos from a commercial property is not always necessary. It may be sufficient to seal the asbestos in order to prevent the release of harmful airborne particles – a process known as encapsulation. This typically costs around £8 per square metre, a far less expensive option than outright removal. It is also worth considering the costs of restoring any gaps the asbestos removal may have left in the property – removal of large amounts of asbestos material might call for substantial redecoration afterwards. Commercial properties require valid electrical safety certificates and energy performance certificates by law. As the landlord, you are responsible for obtaining these certificates and ensuring they are valid. An energy performance certificate (EPC) rates the energy efficiency of a building from A – the most efficient – to G, the least efficient. A commercial EPC is valid for ten years. A commercial property is required to have a valid EPC by law, with a failure to do so resulting in a fine of up to £5,000. Unless specified otherwise in the lease, the responsibility of ensuring the electrical safety of a commercial property lies with the landlord. You will require a certificate in order to prove the premises has passed the relevant electrical safety compliance checks. How much does a landlord electrical safety certificate cost? For a commercial landlord, the cost of an electrical safety certificate will depend on the size of the property, ranging from £150 to £1,080. Most commercial property leases are designated as ‘Fully Repairing and Insuring’ (FRI), meaning that the majority of responsibility for commercial property maintenance lies with the tenant. However, the landlord is usually responsible for maintaining the exterior of the building and any costs pertaining to safety. While the tenant may be financially liable for any dilapidations to the property, it is most often the responsibility of the landlord to organise the necessary repairs. For this reason, it’s advisable to survey the condition of the building when you’re planning to invest in a property and before each new tenant takes occupancy. Commercial landlords are advised to secure property insurance in order to provide financial safety in the event of damage to or destruction of the property. Investing in commercial property is an effective means of building a property portfolio, providing you do your research before you invest in a property and you are aware of the responsibilities of owning and managing a commercial property. 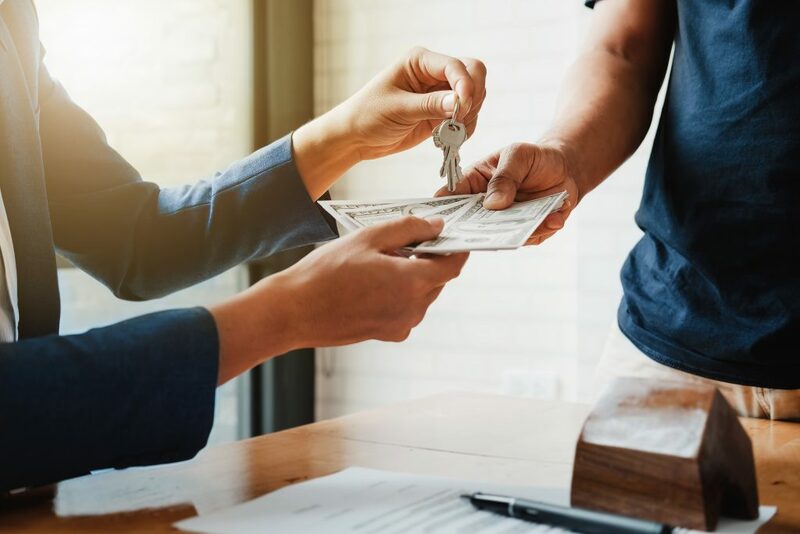 If you know what commercial property ownership and management will entail and you’re happy to adhere to the required regulations, you could be well on your way to a robust property portfolio.